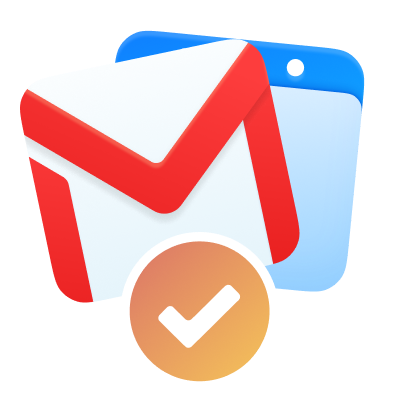 All your emails and events, every Gmail feature, multi-account and notifications, gorgeous themes. All of this in a suite of beautiful & lightweight apps. Because your emails and calendars deserve a dedicated, focused environment to make you more productive, without distractions and stress. This is why we've created the best Google apps experience for the Mac. Get all the benefits and unique features of Gmail, in a custom wrapper styled to match macOS beautiful interface. It's the Gmail you know, refined and improved. Boxy Suite is the best way to use Gmail and Google Calendar on your Mac. I use it every day and love it. Here's a client that finally takes the minimal, yet powerful, Google Calendar experience to the Mac, deeply integrated with the rest of the Suite. Boxy Suite is a beautiful and highly functional way to free the power of the G Suite from the browser and use it as a set of finely integrated native apps. Highly recommended. Your Google accounts Swiss Army knife. One click on a Status Bar icon gives you a quick overview and instant access to all your emails and calendar events. The Dashboard offers the most convenient way to see all your emails and events at a glance. Since it's build to be used every day, we made sure it looks absolutely perfect. The Dashboard is a powerful notifications hub for all the Suite. Boxy Suite and the Dashboard are built for Google apps users. You can choose to expand and collapse accounts, to always keep an eye on what matters to you. With just one click in the Dashboard, launch the right app with the right account. Boxy makes G Suite beautiful and gives it those extra priceless features that should have been there from the start. We've spent countless hours tweaking the style of the apps to become more responsive, more native-feeling and less cluttered than their browser counter-part. Click on the image below to see the difference.